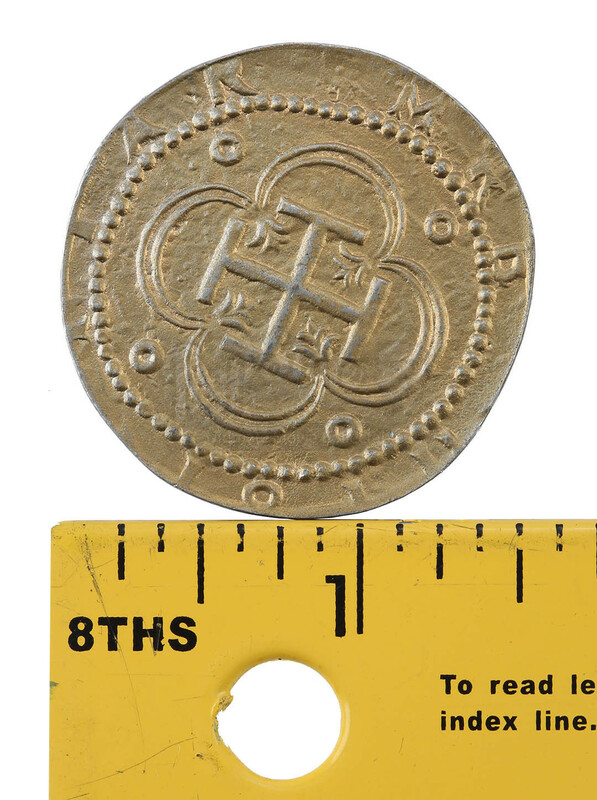 A Cursed Gold Shilling made for the 2001 Gore Verbinski adventure film, Pirates of the Caribbean: The Curse of the Black Pearl. 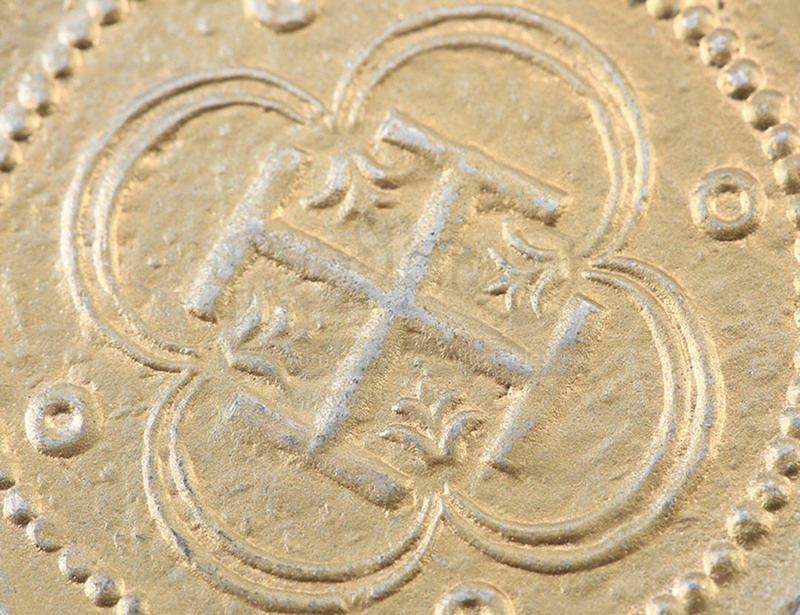 Coins of this style can be found in the films climactic battle in the pirate's cave where their treasure is stored. 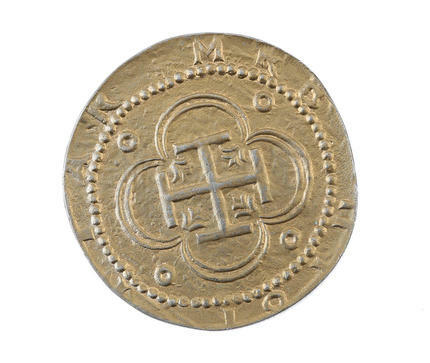 This gold-colored metal coin features a shield surrounded by Latin lettering on one side, with the opposite side displaying a a cross within a clover-like shape with additional Latin lettering. 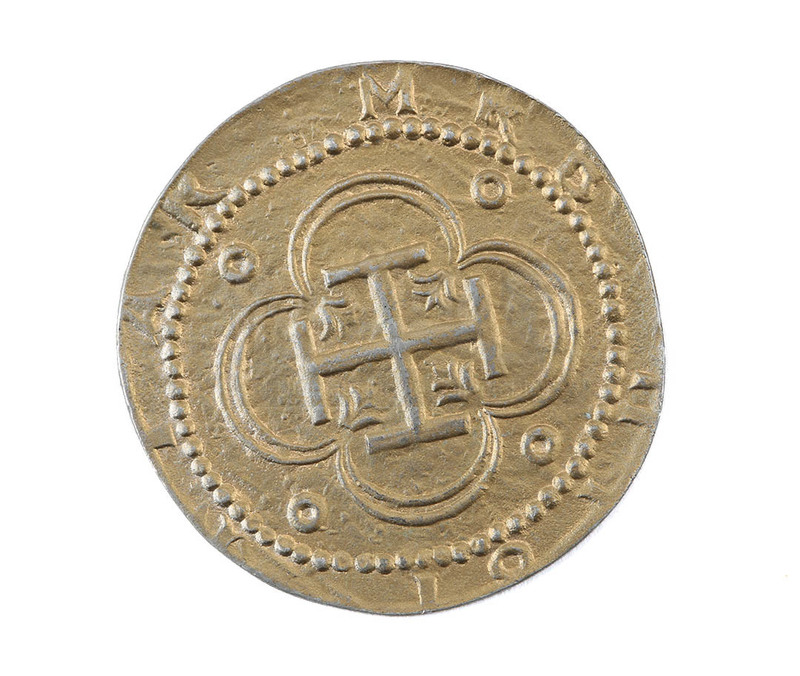 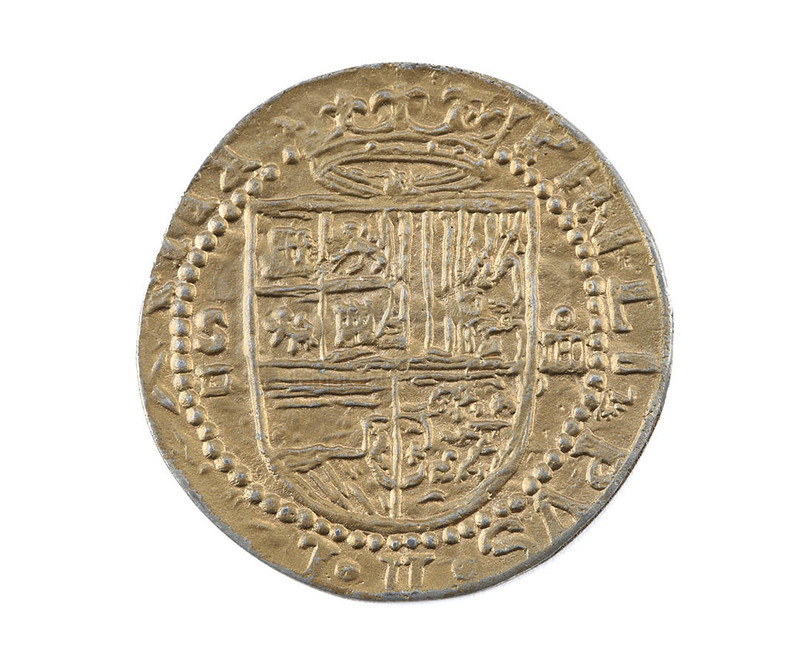 This coin measures 1.5" (4cm) in diameter and is in very good condition.